Microsoft Office 2016 (codenamed Office 16) is a version of the Microsoft Office productivity suite, succeeding both Office 2013 and Office for Mac 2011, and preceding Office 2019 for both platforms. It was released on macOS on July 9, 2015 and on Microsoft Windows on September 22, 2015 for Office 365 subscribers. Mainstream support ends on October 13, 2020, and extended support ends on October 14, 2025. The perpetually licensed version on macOS and Windows was released on September 22, 2015. Since its successor Office 2019 only supports Windows 10 or Windows Server 2016, this is the last version of Microsoft Office compatible with Windows 7, Windows Server 2008 R2, Windows 8, Windows 8.1, Windows Server 2012, and Windows Server 2012 R2. Windows: New features in the Windows release include the ability to create, open, edit, and save files in the cloud straight from the desktop, a new search tool for commands available in Word, PowerPoint, Excel, Outlook and Access named “Tell Me”, more “Send As” options in Word and PowerPoint, and co-authoring in real time with users connected to Office Online. Other smaller features include Insights, a feature powered by Bing to provide contextual information from the web, a Designer sidebar in PowerPoint to optimize the layout of slides, new chart types and templates in Excel (such as treemap, sunburst chart (also known as a ring chart), waterfall chart, box plot and histogram, and financial and calendar templates), new animations in PowerPoint (such as the Morph transition), the ability to insert online video in OneNote, and a data loss prevention feature in Word, Excel, and PowerPoint. Microsoft Office 2016 is the first in the series to support the vector graphic format SVG. 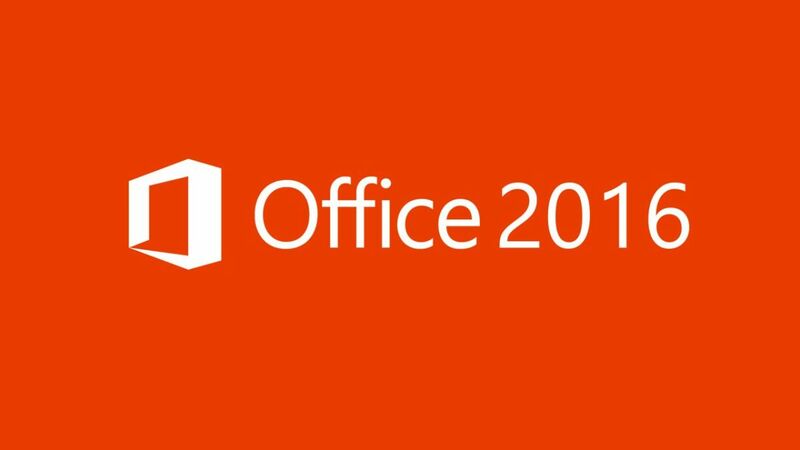 Microsoft Office 2016 cannot coexist with Microsoft Office 2013 apps, but it can coexist with earlier versions of Microsoft Office, such as 2003, 2007, and 2010. Microsoft requires that any 2013 versions be uninstalled, which it will offer to do automatically, before the 2016 versions can be installed. Despite not supporting Windows XP anymore, tooltips for various ribbon items (e.g. Paragraph, Font, Footnotes or Page Setup) still show screenshots of Office on Windows XP. Mac: New features in the Mac release include an updated user interface that uses ribbons, full support for Retina Display, and new sharing features for Office documents. Outlook 2016 for Mac has very limited support for synchronization of collaboration services outside basic email. With version 15.25, Office for Mac transitioned from 32-bit to 64-bit by default. Users that require a 32-bit version for compatibility reasons will be able to download the 15.25 version as a manual, one-time update from the Microsoft Office website. All versions following 15.25 will be 64-bit only. Office for Mac received Touch Bar support in an update on February 16, 2017, following the launch of the 2016 MacBook Pro models. Standard: This suite, only available through volume licensing channels, includes the core applications, as well as Outlook and Publisher. Professional: This retail suite includes the core applications, as well as Outlook, Publisher and Access. Design: The user interface design of Office 2016 for Windows is relatively unchanged from its predecessor, Microsoft Office 2013. It retains the flat design that was introduced along with the Metro design language, albeit with a few modifications to the layout, in order to conform with the design of Microsoft Office Mobile. When Office 2016 was released, it came with three themes. The default theme, known as “colorful”, features a solid color on the top band of the ribbon, corresponding to the color of the Office application being used, for example, a solid dark blue is featured prominently in Microsoft Word. The theme had been described as useful in making the tab headings more distinct. In addition, both the “white” and “dark grey” themes from Office 2013 are available as well, though no new backgrounds have been added, nor have any existing backgrounds been removed. A fourth “black” theme was added as part of an update in January 2016. The update was not released to users of the traditional editions. Criticism: On the 13th of November 2018 a report initiated by the Government of the Netherlands showed that Microsoft Office 2016 and Office 365 do not comply with the GDPR, the European statute on privacy.